Beltingham House is set in five acres of grounds and sympathetically refurbished to the highest standards. 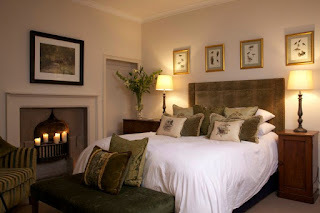 It offers up to 14 guests the perfect opportunity to enjoy a relaxing break in the surroundings of a fine country house retreat in Northumberland, coupled with all the luxury you would expect from a five star hotel. During your stay, the house is your home and, as such, your privacy will be respected with our concierge contacting you only at your request. The accommodation comprises three adjoining properties in one: the main house and two cottages, which may be hired individually or jointly. Beltingham House provides exceptional family accommodation in a luxury setting, with ground floor accommodation of drawing room, sitting room, dining room and kitchen and on the first floor, four bedrooms, a family bathroom and one en suite. All rooms are generously proportioned and tastefully furnished to the highest standards, as you would expect from an acclaimed interior designer. Well behaved dogs are welcome at Beltingham House but we ask guests to restrict them to the ground floor. For shooting parties, kennels are available. 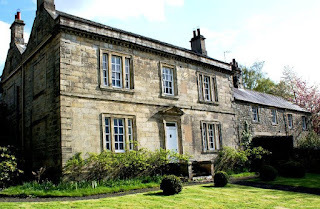 Situated in the beautiful Northumbrian countryside with a walled garden, orchard and several acres of woodland within its boundaries, Beltingham House is ideally placed for guests who are looking to make the most of the outdoor life. We have excellent connections with a number of the major game shoots in the area and can offer introductions. Walkers can explore the historic sites of Hadrian’s Wall (just four miles north) or simply enjoy uninterrupted vistas of the unspoilt countryside on the many walks that exist nearby. For anglers, the River Tyne, which is renowned for its excellent salmon fishing, lies close at hand and our concierge can arrange fishing permits, as well as other leisure activities, such as golf, cycling and horse riding.